Scrapping the presidency would solve the problems that the present political leaders face. All of them seem to be in a quandary and weighed down by their personal vendettas and ambitions, and unable to take a decision that is good for the country. Presidential system is a burden on the country and its people, and when it is like the present arrangement where the president and the parliament do not see eye to eye, it could be disastrous as being proved now. During the last four and a half years, nothing was done to develop the country as consensus was not possible on any issue, and investors sensing the discord would not take a chance with their money. At present the president is trying to enhance his image and the prime minister his, in view of the elections that hover in the horizon. The two have conflicting interests, and nothing gets done except heaps and heaps of promises. Therefore, the people would be better off without an executive presidency, and the burden of maintaining a more or less useless institution. The recent budget allocation for the president shows the magnitude of this issue. Further, a presidential election would cost about Rs. 500 Million, which this almost bankrupt country can ill afford. Moreover, the parliament is also proving to be ineffective in solving the country's problems as it depends on minority ethnic parties for its existence, and has to dance to their tune forgetting the people's woes. We need a stable government instead of a weak president and a tottering parliament. There is no guarantee that future elections would bring in a better arrangement. Future elections too could result in a situation such as the present, with the president and prime minister belonging to two rival political parties with opposing national policies. It has happened in the past and may happen in the future. Consequently there will be two heads vying for supremacy and they will be eternally at loggerheads, and the country would slowly decay. This weakness will be exploited by corrupt politicians to make money, minority political parties to demand the moon, separatists to plot for a separate state, and foreign powers to pursue their geopolitical agenda, with the president and the prime minister tripping each other to please these devils. The argument in support of an executive presidency is that the central control it has on the provincial council system is essential, without which the tendency for secession could be high. 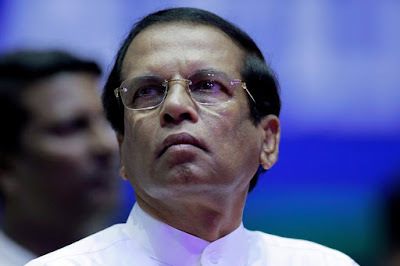 We must remember that the presidency came before the provincial councils, and neither made the other compulsory. One problem cannot be solved by another problem as clearly seen. We realize this after a long haul and great expense. Provincial councils are worse than the presidency, both in terms of cost and benefit. Our small economy cannot carry this dead wood any longer. However, an attempt to get rid of both at the same time might jeopardize the whole project and end up in total failure. Until Tamils realize that PCs are an "Anna round the neck" our poor people may have to carry the Tamils’ burden as well. Another argument is that the war would not have been won if not for the presidency. On the contrary, a strong government and a determined prime minister would have done the job equally well. We have had presidents before, but none had the determination and the courage to fight to a finish. The preservation of the unitary nature of the state is said to be dependent on an executive president elected by the entire country. On the contrary, a strong parliament with a good majority, and with crossing over of MPs prevented by law, would be able to achieve whatever that an executive president could achieve. Scrapping the presidency would solve the problems that the present political leaders face. All of them seem to be in a quandary and weighed down by their personal vendettas and ambitions, and unable to take a decision that is good for the country. If none of them take a step backward and all of them enter the fray, a chaotic and uncertain situation could result and the country could get into anarchy. To avoid such a situation all of them could get together and pool their resources to get rid of the inimical presidency, revise the electoral system according to the recommendations of the Dinesh Gunawardena Committee, bring the PCs under the control of the parliament, in the same way that the president has control over them at present, and enact necessary laws to prevent cross-overs by MPs. Such an action plan would solve the problem of the incumbent president and also those who are vying to get presidential nomination and their supporters, who are waging a battle within their parties to the consternation of all concerned. These battles, if they continue in their present intensity and venom, have the potential to divide these composite parties irreparably, which in effect would be a tremendous loss to the country at large. Abolition of the presidency would also pave the way for an easier merging of fractions of like minded parties and forge stronger alliances to face the common foe. Also, a stronger common front against separatism and foreign interference could be coalesced if the intra-party bone of contention is removed. These parties must realize that their personal differences had not only cleaved their parties, but it had created an opportunity for separatists and foreign powers to exploit the political weakness thus created. And at present the country is in such peril due to the personal weaknesses of our leaders. To pursue with a presidential system, with all its immediate destructive possibilities and its long term cost to the people is to court disaster. Small political parties may want the presidential system to continue for they fear that an abolition of the presidency would have concomitant electoral reforms, with a change in the present PR system which they think would be disadvantageous to their parties. This is a selfish attitude. If these leaders of small parties cannot win on their own, but has a role to play in the country's politics and governance, the best for them would be to be absorbed into their respective patron parties; instead of holding those parties to ransom and forcing them to follow a policy inimical to the country. After all it is the votes of the patron party that carry them through, their inability to win on their own prove the point. Abolition of the presidency, changing the electoral system, and enactment of other laws mentioned above would entail a constitutional reform. Time may not be enough to do all that before the declaration of the next presidential election. Yet, it may be possible to postpone the presidential election by a few months to find the time to do what is good for the country and all the present leaders. Let the leaders get together and do themselves a favour.